The predecessor to the OnePlus 6, the OnePlus 6T has been officially revealed at an event in New York today. Here’s everything you need to know about the features and price of OnePlus‘ latest smartphone. 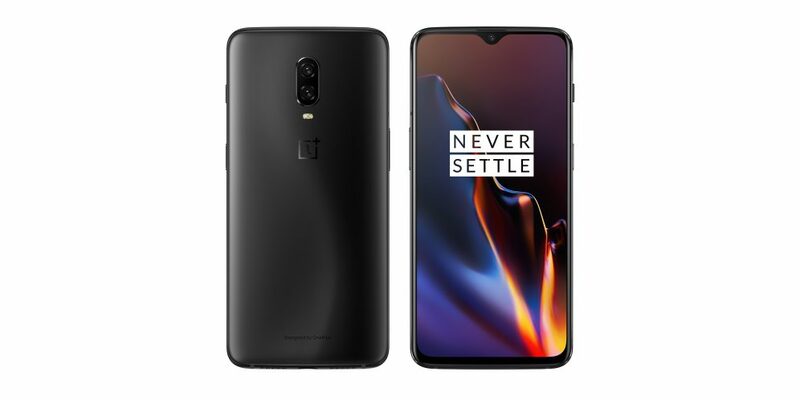 To start, the OnePlus 6T features the same Snapdragon 845 processor, 6GB or 8GB of RAM, 128GB or 256GB of storage, and USB-C. However, it sports a larger 3,700 mAh battery, Android 9 Pie out of the box, and it also ditches the headphone jack. While there’s no headphone jack on the OnePlus 6T, there is a USB-C adapter in the box alongside a fast charger and a free translucent case. The company is also launching Type-C Bullets earbuds which cost $19.95 purchased separately. There are also notable differences with regard to the display. For starters, the 6.41-inches on the 6T is larger than the 6.28-inch panel on the OnePlus 6. And, although it’s still an FHD+ OLED panel, the 6T features a smaller notch which has a “waterdrop” design. Camera wise, the OnePlus 6T has a 16MP primary Sony IMX 519 sensor with an f/1.7 aperture and both EIS and OIS at the rear. Meanwhile, the seflie camera sports a 20MP Sony IMX 376K sensor which also has an f/1.7 aperture. These cameras can record 4K video at up to 60fps and super-slow-motion video in 1080p at 240fps. 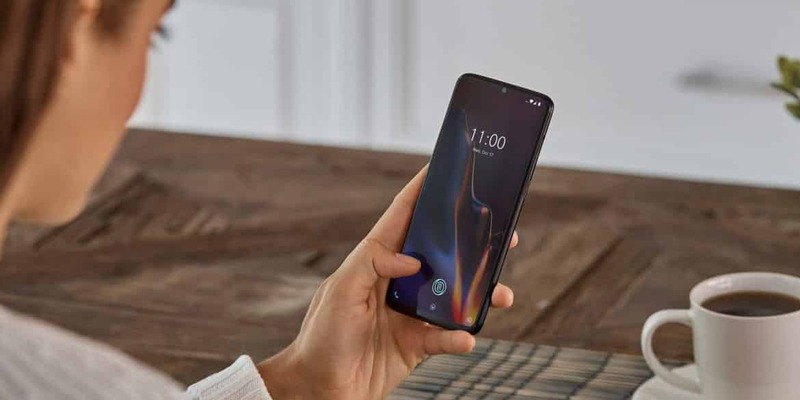 Other notable features include the in-display fingerprint unlock sensor, Oxygen OS 9.0 alongside Android 9 Pie, and the Face Unlock feature. The in-display fingerprint sensor replaces the rear sensor on previous OnePlus smartphones. OnePlus also implemented their new “Screen Unlock” feature to enable a quick app launcher which makes it easier to open your favorite applications. 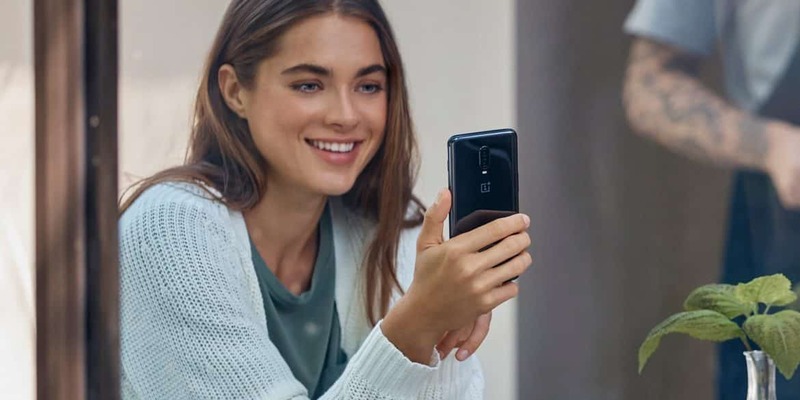 In the US, the OnePlus 6T sells (unlocked) from $549, a slight increase from the OnePlus 6. OnePlus hasn’t come out to officially confirm this just yet, but several leaks from media coverage allude to a $549 starting price point. The 8GB/128GB costs $579, and 8GB/256GB costs $629. The above price of $549 is for the 6GB/128GB variant. And, for the first time ever, the OnePlus 6T will sell via a US Carrier (T-Mobile) starting November 5th (both online & in stores). The OnePlus 6T will also work with Verizon. 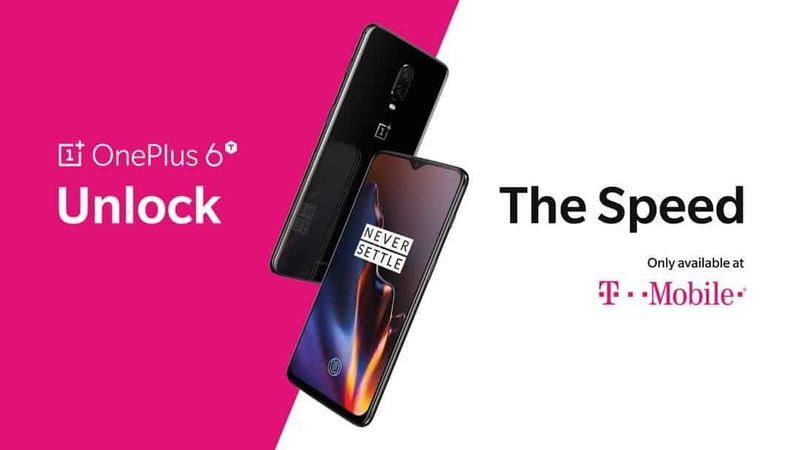 T-Mobile also plans to offer a half-off deal with trade in on select devices (including all OnePlus devices previous released) and financing.